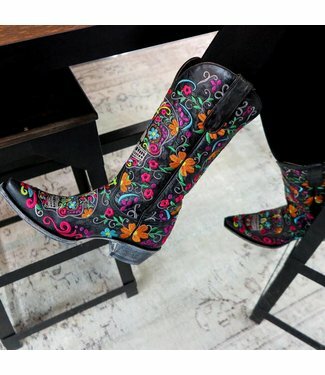 Black leather cowboy boot with subtle all-over black embroid..
A cowboy boot with embroidered skulls defines the persona of..
ed leather western ankle boot Jaylene by Old Gringo. The boo.. Handmade ankle boot in champagne leather with studs and subt..